Raw vegetables are delicious, but you’ll get more out of them if you cook them first. 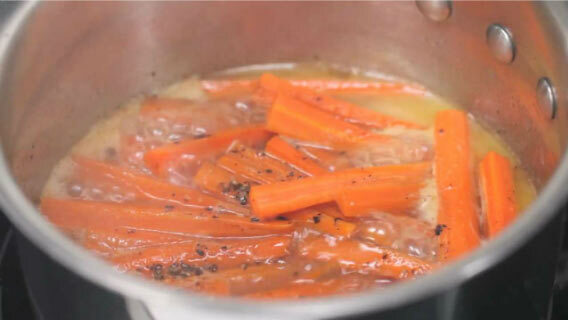 Find out why you should cook carrots and tomatoes before eating them. Cook the garlic in the oil in a large pot over medium heat, stirring, until golden, 2 to 3 minutes; remove and reserve the garlic. 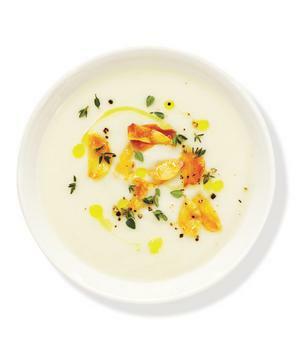 To the pot, add the cauliflower, vegetable broth, thyme, 1 teaspoon salt, and ¼ teaspoon pepper. Simmer until tender, 15 to 20 minutes. Transfer the mixture to a blender and puree until smooth. Top with the garlic, a drizzle of olive oil, and additional thyme before serving.